Food preparation is essential to the success of a restaurant. Your customers might see the magic and be amazed at the food on the table. But we know that the real magic happens first in the cooking and the preparation stage of the food. In order to achieve smooth and fast service without sacrificing the quality of the food, you need to get the best commercial cooking equipment. Here at Chef’s Deal, we have cooking equipment that will basically make your tasks easier. You will have the efficiency to work on multiple things at the same time with our equipment. Our commercial cooking equipment includes broilers, griddles, charbroilers, grills, ovens, ranges and countertop fryers. Are you running a bakery? Then we are a one-stop shop for your needs and tastes. Some of our products include breadcrumb machines, bread slicers, dough sheeters, dough presses, dividers, rounders, and moldes. Baking pies, cakes, crispy bread and fresh rolls have never been easier. You can count on our equipment to last long. They can handle the pressure of everyday use. Your customers don’t have to worry about waiting outside your bakery in long lines. Our bakery equipment can make you bake a lot of bread and cakes faster. If you have a large staff, we have a different range of stoves, countertop pieces of equipment, and utensils to help them make several tasks at the same time. The secret of excellent rotisserie cooking can not only be found in the quality of ingredients, it can also be found on the oven used. In rotisserie, the meat is juicier and is self-basted. Our ovens have powerful motors and special rotisserie burners that will evenly heat your chicken and meat. This results in a thoroughly cooked meat that is fully satisfying. If your business is a restaurant which serves meat, chicken, turkeys, chops, and steak, then our convection oven is the best choice for you. This type of oven constantly circulates hot air inside the oven and this helps cook the meat quickly. Our convection oven is better at browning and roasting vegetables and meat. With our convenient commercial cooking equipment Moffat oven, you can cook fast even at low temperatures. This saves electricity and energy resulting in low electric bills and allows fast serving times every day. 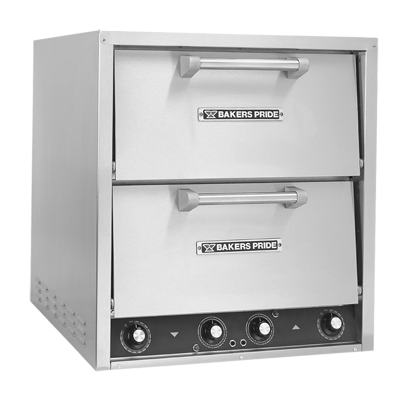 A convection oven is just one of our options. At Chef’s Deal, you can choose from hundreds of thousands of commercial cooking equipment that is according to your tastes. We all know that every person is unique. Every person has his or her own designs on how things should look like or go in their own business. Because of the wide range of options available to you, you just have to tell us what kind of equipment suits you and we will deliver it straight to your kitchen. Contact us now. We have also expert dealers that can answer your questions and can recommend products that will help you become a successful restaurant or bakery business owner.